Convenient use of Disney's the innovate Magic Band system for your room key, park ticket, dining plan credits, and charges. Ability to use the "My Magic Plus" system to book FastPass+ reservations 60 days in advance. Day Guests may only book after arrival in the parks each day. 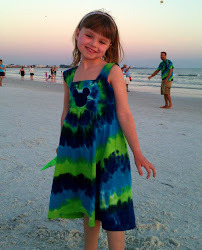 If you are the type of family that is content with public transportation, staying on property and using Disney's free transportation is a big money saver. It alone can save you hundreds vs. staying at an off-site hotel. Disney will provide you with free round-trip transportation via motor coach from Orlando International Airport via their Magical Express to your Walt Disney World Resort. If you wish to use it, Disney will also provide free luggage service to those using the Magical Express. Before your trip, you will receive bright yellow luggage tags. These tags go on your checked luggage. At the airport, you can skip baggage claim and go straight to the Magical Express! Disney will claim your luggage and transport it to your resort hotel. Your luggage will then "Magically" appear in your room in 3-4 hours. What a treat not to have to haul your luggage! Do keep in mind that your luggage does not travel with you but on a separate truck, and it won't arrive until after you do. So pack what you may need in the immediate future in your carry-on, such as park tickets or sunscreen. We often arrive late morning or early afternoon, and I pack swim suits and sunscreen so we can swim at the resort pool while we wait for our room to get ready. Usually when we get the text message our room is ready, we go to our room and find our luggage already there. One thing to keep in mind though, is that the luggage service is not available after 10pm. If you arrive after 10pm, you will need to claim your own bags, or be content without them until the following day. When staying on Disney property, you will be able to use the fabulous new My Magic Plus system and the Disney Magic Bands. Besides opening your room door, the Magic Bands are your park ticket, your FastPass+ tickets, and they can be used to charge purchases and meals to your room, gain entrance to Extra Magic Hours, and if you are on the Disney Dining Plan, it is used to charge your food to the plan. 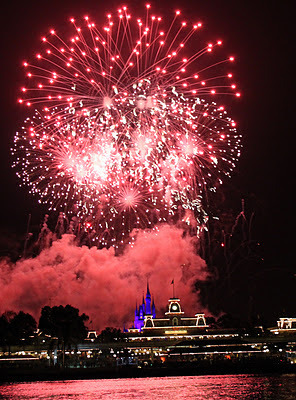 Disney Resort guests are eligible to participate in Extra Magic Hours (EMH). On most days one of the parks opens an hour early or stays open up to 3 hours late for Disney Resort guests only. 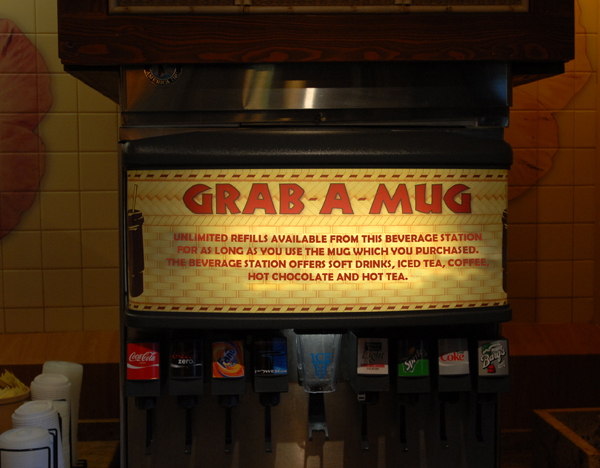 You may also purchase a Resort Refillable Mug to use at your Disney Resort. 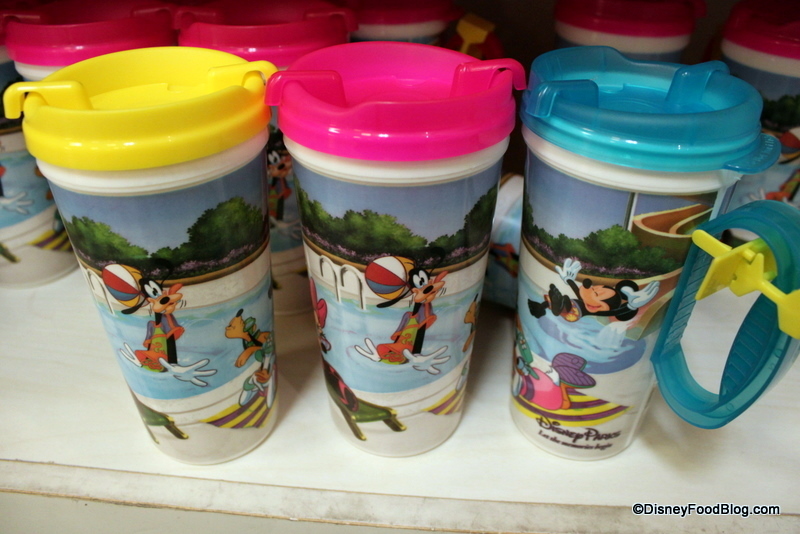 This mug runs around $18 for a length of stay mug, or is included in the DDP starting in 2012, and can be used for unlimited soft-drink, coffee and tea refills at your resort for the entire length of stay. Usually Coke products, some form of Powerade, Minute Maid Light Lemonade, and sometimes ice tea, in addition to hot coffee and tea are available depending on your resort. If you are trying to secure that hard to get dinner at Be Our Guest or the ever popular Le Cellier, staying on property can give you a leg up. Disney's Advance Dining Reservations (ADR's) open to booking 180 days in advance. However, if you are a resort guest, you may make dining reservations for your entire trip, up to 10 days, starting 180 days from your check-in day. This means if you are checking in on a Sunday, 180 days prior to that day you can book ADR's for that day, plus the entire following week up to an additional 10 days. If you are off-site, you can only book 180 days in advance one day at a time.